Having heard last night that the Troon ferry was cancelled (due to the gales which had swept the country), we were up before it was light to drive over to the Ayrshire Coast and Cairnryan. It was certainly not the weather to be on the catamaran that the Irish call the ‘vomit comet’. As we drove through West Lothian, North Lanarkshire and into Ayrshire, the rain was still heavy and we got stuck behind various slow moving vehicles and diverted around a road closure. 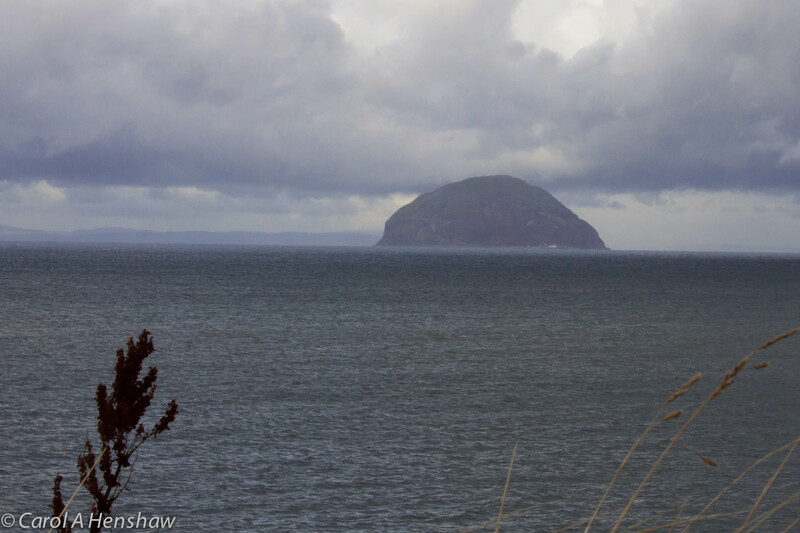 Once we got to the coast, we passed the Ailsa Craig in the mist and after Girvan, the weather improved. We had just missed the 10.30 ferry which was pulling out of the port, so headed into Stranraer for coffee and to pick up some flowers for my mother in law. 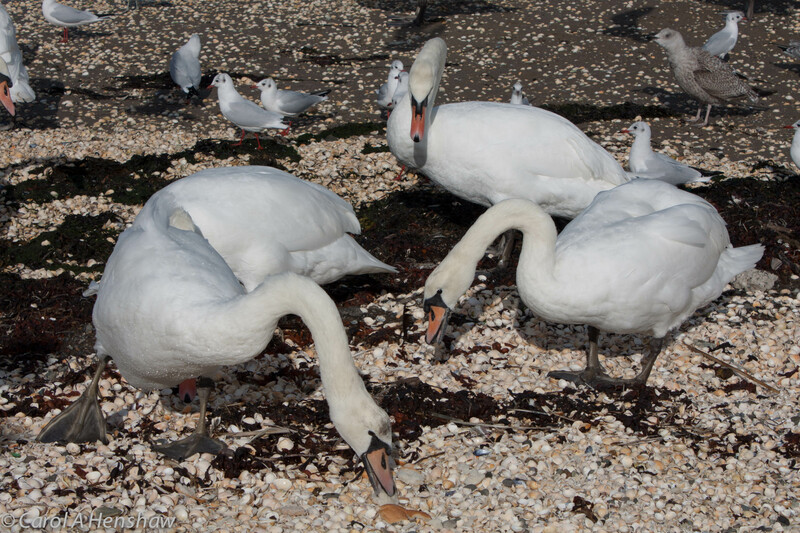 On the way into the town we passed a small cockle beach where an elderly man was feeding swans. I took some photos and also found a piece of seaglass to add to my collection. The sun was out as we returned to the port and boarded the ship. I stood outside as we passed the lighthouse and headed into the Irish Sea with the Kintyre peninsula in the background.